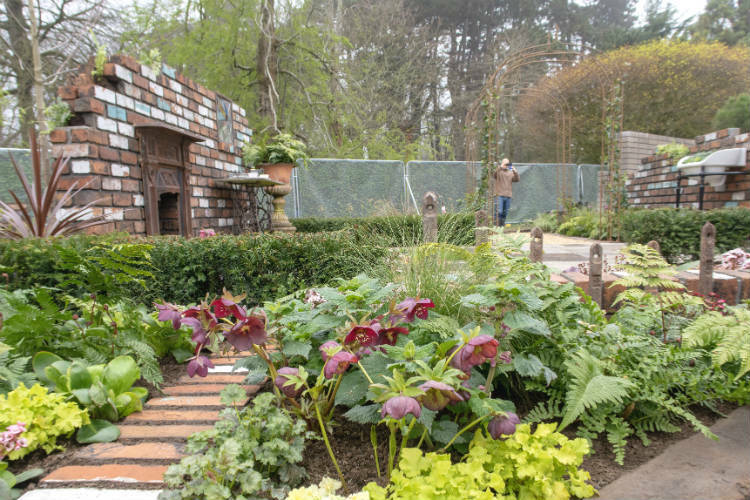 Take a look around the beautiful show gardens at the RHS Flower Show Cardiff 2018, the first big event of the gardening year. Last weekend, I visited RHS Cardiff for the first time, and really enjoyed looking around the show gardens. The weather in Cardiff’s Bute Park was a bit cold and grey at first, but I guess that’s to be expected in April! The Cardiff show is the first major event on the gardening calendar. As it falls in early April, it was really interesting to see how it varied from the other shows I’ve been to. Over the next few days, I’ll be bringing you a full round up of the Show Gardens, as well as the Floral Marquees and other interesting features at the show. First of all, join me as I show you some of the highlights from this year’s show gardens, and discover which garden won the coveted ‘Best Show Garden’ award.